In this article, we'll talk about the unmistakable "yellow and black" taxis in Marid, in other words, the Public Taxis. If Madrid can boast of anything, is it assuredly the fact that it has an enviable public transport system with Metro lines and buses that connect every area of the city at virtually any time of day, 365 days a year. It provides a modern and affordable service that is also reasonably punctual, a plus point that shouldn't be overlooked. But, one doesn't always have a lot of time, especially if you are visiting for only a few days and need to squeeze as much as possible in to your stay in the Spanish capital. If you need to get to your desired destination quickly, if you're not sure of the address, if you prefer a more comfortable service, then the best option is to use a public taxi. . The taxis in Madrid are easily recognisable as they are white with a red band and the city's shield on the sides. The fleet consists of some 15,600 vehicles which means, it is usually quite easy to find one that is available. If the light on top of the vehicle is green, that means that the taxi is free and you can stop it simply by lifting your hand. This is generally the way to get a taxi in the Spanish capital. The exceptions are the airport, the bus and train stations and certain areas of the city where there are taxi ranks and you would need to pick up a cab at these. The sign identifying a taxi rank is a blue square with the word "Taxi" in white letters. When it comes to paying, you can do this in cash as the taxi drivers are obliged to carry the necessary change, or by card, so you shouldn't have any problems. If you want to ensure that you are going to get a taxi at the time you need and you can't or won't wait, there are different Apps with which you can make your booking in advance. Here are the names of some of them so that you have what you require in case you do need to book a taxi in advance of your journey: My Taxi, Join Up Taxi, Tele Taxi, pidetaxi. Although the Madrid taxis are renowned for being expensive, their pricing is actually not that different to other cities and the rates have been more or less standardized in order to avoid the typical exploitation of tourists. If you are considering whether to take a taxi at the airport to take you somewhere within the M30 area, there is a fixed price of €30.00 which is applicable every day of the year, 24 hours a day. For any other route, different tariffs apply depending on the time of day and the actual day of the week. The standard rate from Monday to Friday, from 07:00 in the morning until 21:00 at night is €2.40 from when the service starts, €1.05 per kilometre and €20.50 per hour. If you are going to need a taxi between 21:00 at night and 07:00 in the morning on a weekend or public holiday, the prices rise to €2.90, €1.20 and €23.50 respectively. In addition to these charges, supplements may apply for certain destinations or on specific days. If you are travelling to the airport outside the €30.00 rate, the applicable supplement is €5.50. In the event that your destination or your starting point is the Atocha, Chamartín, Avenida América or Méndez Álvaro stations, the applicable supplement is €3.00. The same price applies for journeys to or from the grounds of the Parque Ferial Juan Carlos I (IFEMA). There is also a supplement of €6.70 on Christmas Eve and New Year's Eve. How can I book a taxi at a fixed price? There is an easy way to know the cost of your transfer in advance either from or to Madrid Airport and that's by booking a private taxi in advance at a fixed price. 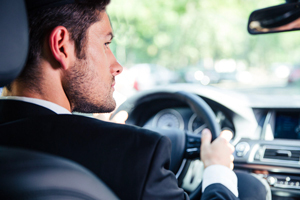 This will mean that you won't run the risk of having a driver who is dishonest and thus, encountering a nasty surprise with regards to the price when you arrive at your destination. In order to avoid any problems with the language barrier, it is also possible to book a taxi by calling Taxileader.net which offers a Customer Service (from Monday to Friday between 09:00 and 18:00 hours). Or, if you prefer, you can also make your booking on-line at any time of day on the web site which is undoubtedly the quickest and easiest way to make a reservation at: Taxi Madrid Airport. The journey will be booked at a fixed price, i.e., the cost is locked in at the time of making your booking and will not alter as a result of the traffic as the rate is based purely on the distance travelled.